Bestor Architecture completed work late last year on new facilities for the Silverlake Conservatory of Music in Los Angeles, a music education organization started by Michael “Flea” Balzary of the Red Hot Chili Peppers, music educator Keith Barry, and producer-engineer-mixer-musician Pete Weiss in 2001. The organization helps fill the growing lack of arts education and offers paid classes for the community’s youth as well as fully subsidized scholarships for public school students who qualify for their free lunch program. The conservatory is located in a 1931 warehouse that has been carefully restored by the architects. 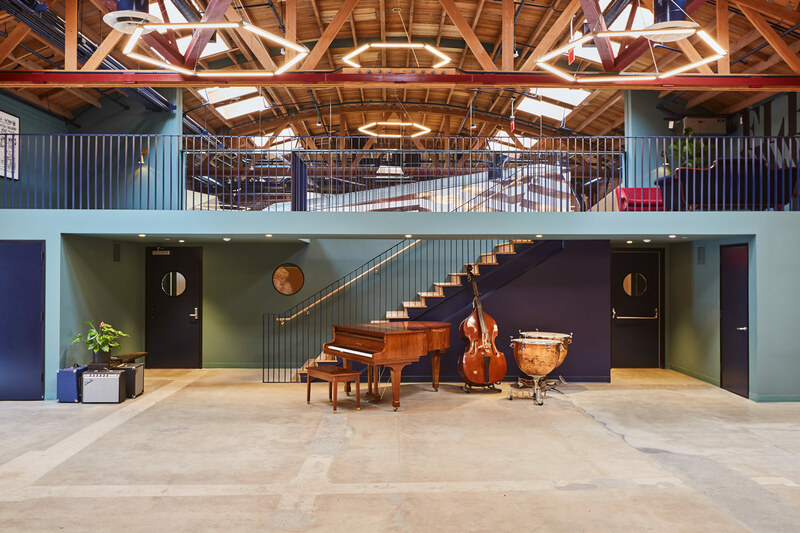 An extant wood bowstring truss roof caps the expansive and well-lit interior, while new construction is distributed via faceted volumes that contain 12 practice rooms. These rooms are insulated for sound, featuring double walls and gaskets around windows and doors. Surrounding surfaces made of plywood, cork, and carpeted in certain areas, have also been calibrated to absorb sound. A mezzanine platform overlooks new volumes that create what Barbara Bestor, principal at Bestor Architecture, has described as an “urban village.” The remaining nooks and crannies created by the resulting geometries are populated by hang-out spaces and can be utilized as a concert hall that holds up to 150 guests. Barbara Bestor, a SCI-Arc graduate and founder of Bestor Architecture, has spent decades immersed in Los Angeles' design culture—and it shows. 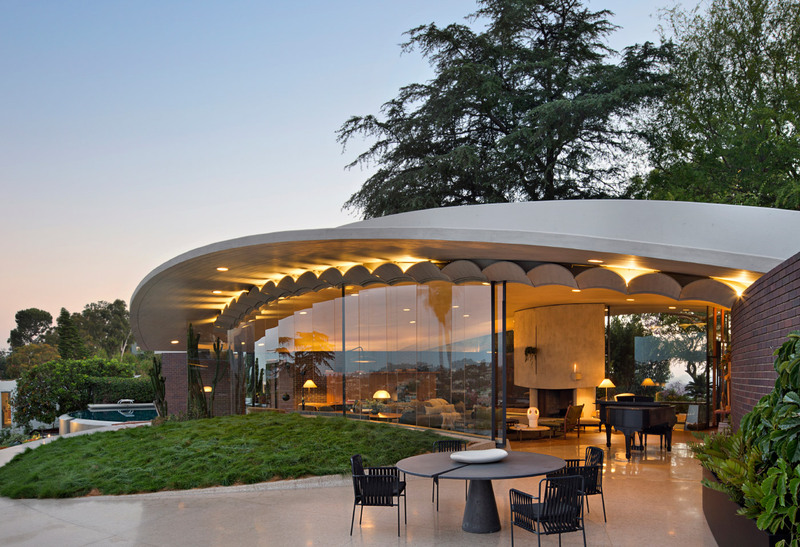 Her firm's work, which ranges from installations (Bestor co-curated Deborah Sussman Loves LA! at Woodbury University's WUHO Gallery) to corporate headquarters, retail and restaurants, and historic adaptations, celebrates the city's bold character while bridging the oft-overlooked gap between the bungalow vernacular and Hollywood huge. Bestor will speak to her experience as an urban mediator—between interior and exterior, low- and high-design, small and large—at next month's Facades+ LA conference. 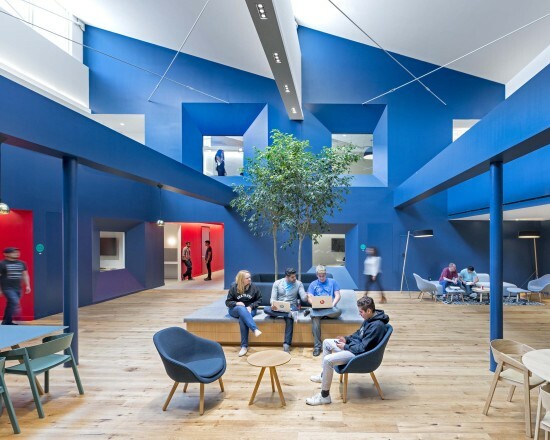 Bestor Architecture has wrestled with the question of scale on an operational level, too, as it recently began to tackle bigger commissions. 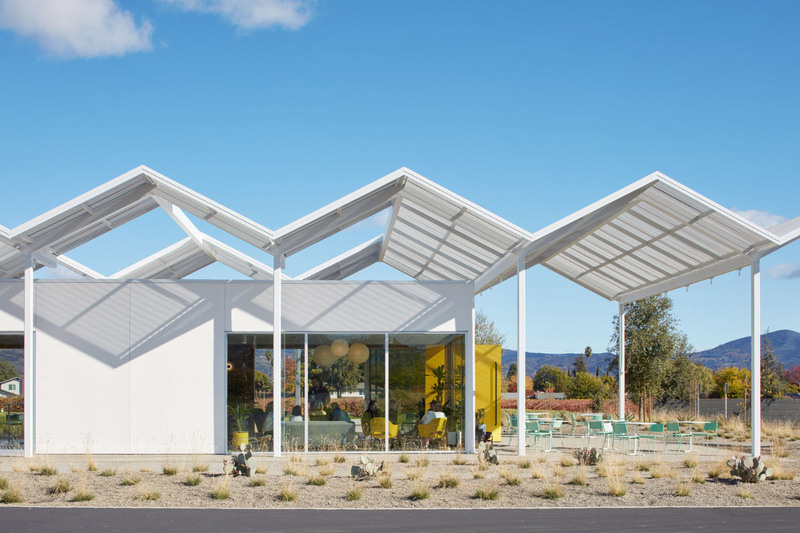 One of the challenges that comes with growth is establishing a brand identity, explained Bestor, acknowledging the status of "architecture as a consumer project." "It's different from trying to be the slickest, most global" firm. 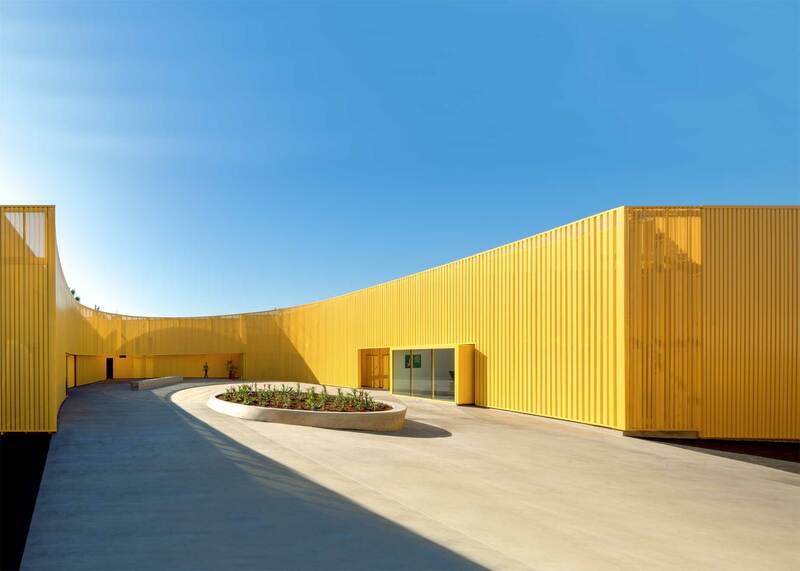 Rather, Bestor Architecture's strengths lie in its characteristic approaches to design problems. 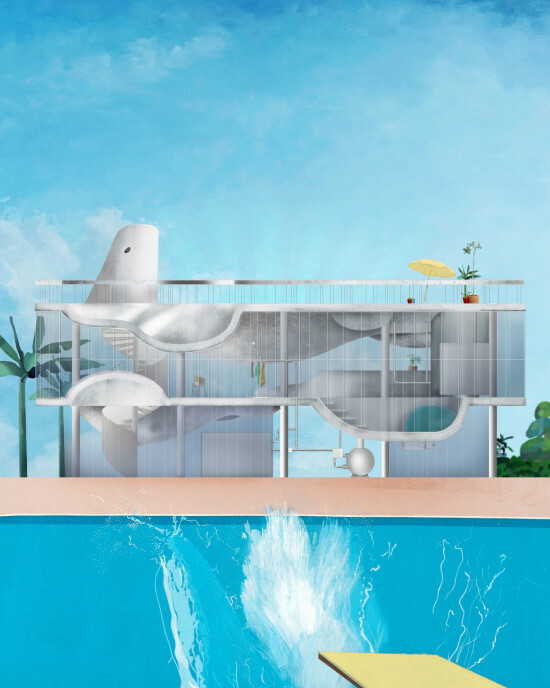 One common technique—based on the firms origins "doing high design on a shoestring," said Bestor—is to "create atmospheric environments using two-dimensional themes," including graphics and materials, rather than focusing solely on formal expression. When it comes to development work, meanwhile, "there it's more form," she said. "We're trying to create new forms that aren't necessarily the developer's envelope, without screwing up their lines. The stuff we've done, the developer has to take a little leap of faith—but we wind up with much higher returns." 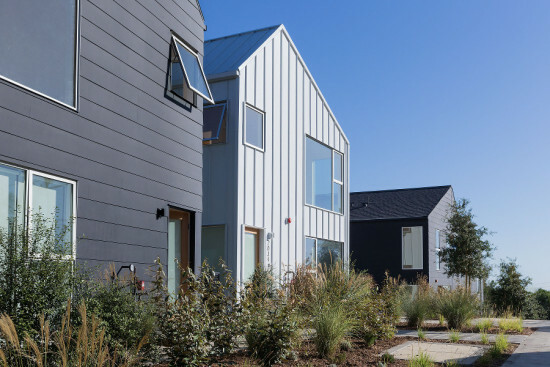 Take, for example, the firm's 2015 Blackbirds, a group of 18 homes in the Echo Park neighborhood. The project answers the call for dense, high-quality housing that retains a connection to nature. Inspired by the disposition of early-20th-century Craftsman cabins, the community collects groups of houses into larger volumes, avoiding the repetitive strain associated with so many suburban tracts. 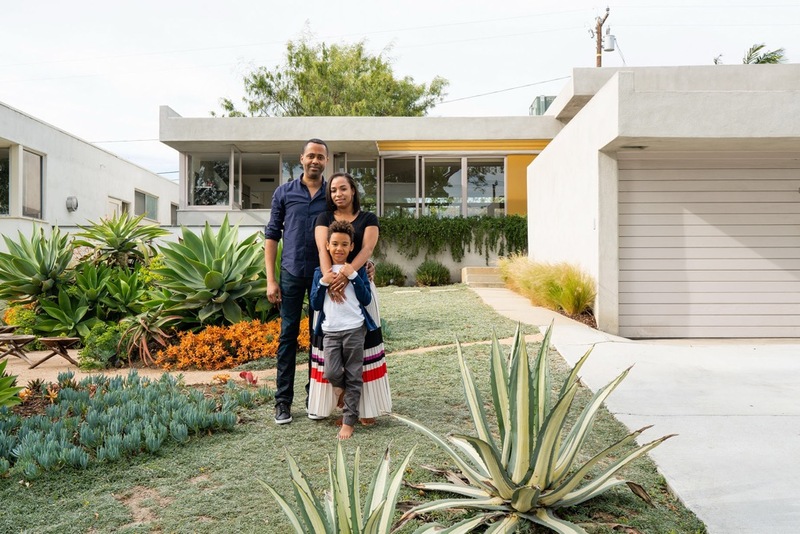 Wrapped in sleek paneled exteriors that nod to board and batten construction, the homes retain a sense of Los Angeles' historic residential fabric without losing sight of contemporary spatial and environmental needs. 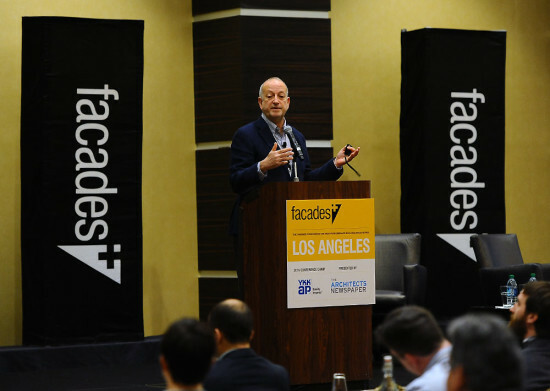 Hear more from Bestor and meet other movers and shakers in the facades world, including Emilie Hagan, associate director at Atelier Ten, and Woodbury University associate professor and dean Ingalill Wahlroos-Ritter, at January's Facades+ LA conference. Learn more and register for symposium and workshop events today at the conference website.